Michael D. Liggett is a partner in the law firm of Liggett, Johnson & Goodman, p.c. and has been practicing law in Fort Collins since 1978. As a nearly life-long resident of Fort Collins, he has been committed to public services and the success of the community. 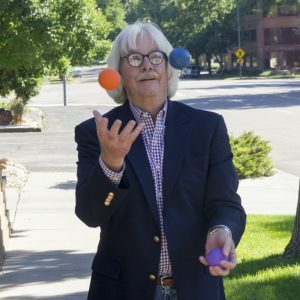 As a partner since 1977, Michael D. Liggett was drawn to practice law because of its unique blend of interpersonal skills and high-level critical thinking, and has remained enthusiastic because of the varied demands each client’s case requires. Earning his undergraduate degree at Colorado State University before receiving his J.D. from the University of Seattle School of Law, Michael brings the experience and local perspective to criminal defense, family law, civil and mediation cases. When not practicing law, Michael enjoys his family, fly fishing, poetry, and involvement in local civic affairs.